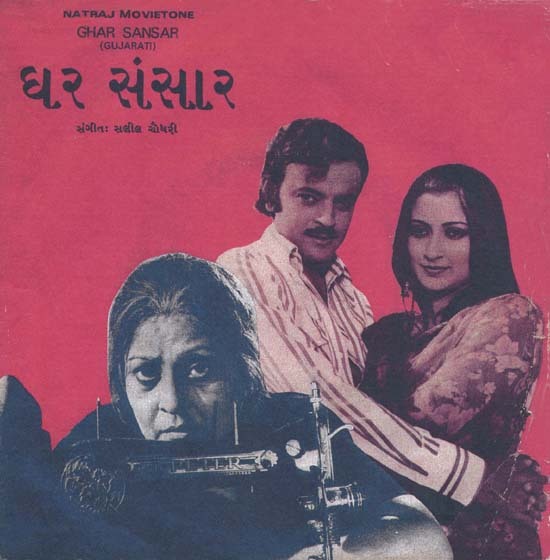 This is the only Gujarati film of Salil. I was pleasantly surprised to hear the voice of Praful Dave and Manhar. In fact this duet by Usha and Manhar is a superb song and reminds me of Lata and Mukesh when he was young. Also the solo song by Praful Dave "ho halo re hansa mala" is beautifully performed and is as sublime as the Bengali version "o ghoomer moinaa paakhi" by Asha Bhonsle in the Bengali film "Parabesh".There is a fifth song 'poshe pachhtaai shir suraai' sung by Praful Dave, Diwani-ben and Chorus. It is a folk song and not composed by Salil. EMI had released an EP of all the songs from the original sound track. For more information please refer to Harish Raghubanshi's excellent book on Gujarati films.